Dakshina Murthi is also a form of Lord Shiva. In this form, Lord Shiva is considered as the supreme God of music, wisdom, and yoga. Thus depicted as the Guru of all knowledge. 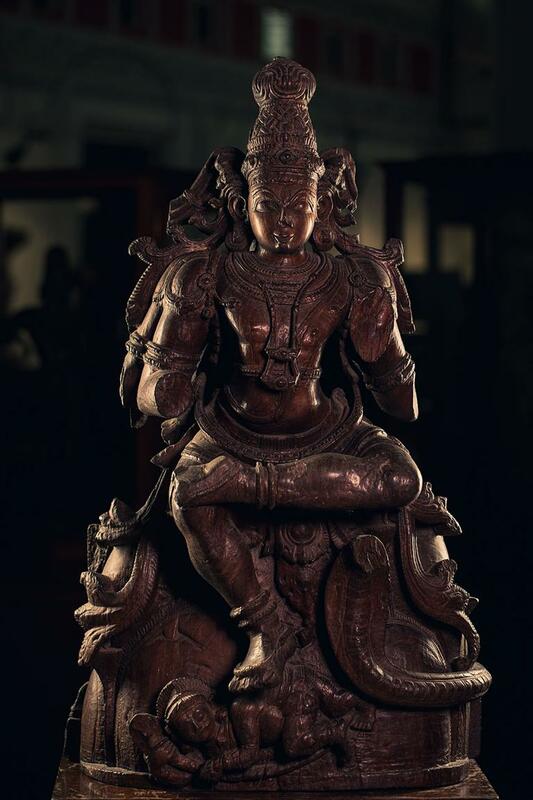 Here Lord Dakshinamurthi is in sitting posture (‘veerasana’). The leg is hanging down and it rests on the back of apasmarapurusha. The image has three eyes. The various parts of the body are free from bends. ‘Jatamandala’ is held together with a ‘pattabandha’.